Public Wi-Fi hotspots have been a thing for a couple of years now. Zimbabwe’s largest home-internet providers ZOL and TelOne both have public Wi-Fi hotspsots and they have had them for some time. TelOne is now reinventing how users who access their open hotspots interact with an app that will act as the gateway to access their public hotspots. The fact that there is now an application when ordinarily we were used to connecting to Wi-Fi networks in the settings can be a bit confusing for some, but this shouldn’t be the case. 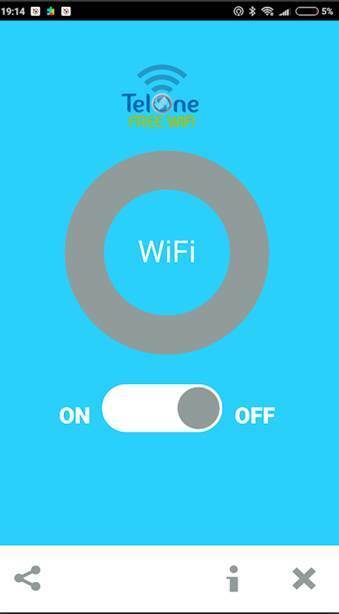 Just connect to the open Wi-Fi as you have always done before (usually settings > WiFi > Enable WiFi > Select TelOne WiFi) and then open the companion application on your phone and turn on WiFi there as well. The reason for this implementation is such that through this application they’ll be able to monitor your traffic and activity and when you actually attempt to connect you get a ‘connection request’ explaining how things work. Of course this process is not as seamless as it used to be, but I’m not about to start complaining about this friction as you’re getting free data after all. And that someone seems to be advertisers who in return want their adverts to be shown to users when they connect. TelOne’s new implementation of public Wi-Fi will now ensure that at the very least users get to actually view these adverts. 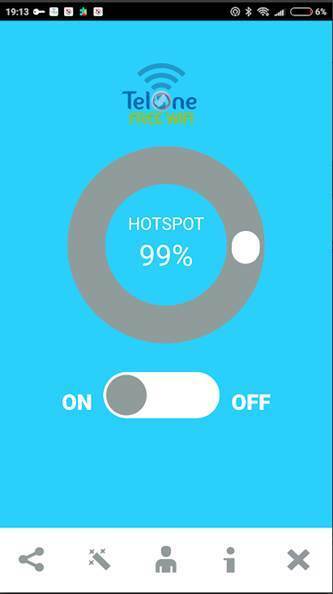 The hotspots will have a data limit of 100Mb per day and you’ll get an ad at each interval of 10Mb. This will mean you will probably end up getting 10 ads, which will be gratifying for advertisers whilst grating for end-users. I think 10 ads per session is a bit aggressive if you are opening apps that consume data quite quickly. I don’t foresee people being able to use apps such as Instagram or Snapchat as they consume data quite quickly. For things like browsing, Whatsapp-ing or sending a few emails won’t be much of a problem. The application is currently available only to users on Android which means if you’re an iOS user you are out in the cold for now. The application is only 5Mb so there aren’t too many concerns about storage.